Tai Chi is a very popular exercise. It is very easy to do and most people love the fact that it does not require any equipment. This makes it possible to do it anywhere. Apart from this, Tai Chi also have great health benefits and is considered to be a very good way of meditating. While these are all good reasons to practice Tai Chi, you should do it for the health benefits. Several research studies have shown that Tai Chi is very effective for the treatment and prevention of common health problems. Tai Chi benefits for seniors are also overwhelming and its slow steps make the exercises easy to follow. The mental concentration, movement, and breathing involved in Tai Chi exercises act as a great distraction from everyday stresses of life. According to a review of several studies in the International Journal of Behaviour Magazine, Tai Chi is very effective in the treatment and management of depression and anxiety. Calmness is felt when the action of body movement and breathing exercise are well coordinated through Tai Chi. Depression and anxiety are very serious problems in the society today. If not dealt with, it might be life threatening. Some of the treatments used for depression and anxiety might not be great options because they might result into over dependence on medication and their side effects. For this reason, it is advisable to try natural and effective methods like Tai Chi. Several studies have shown that people who practice Tai Chi regularly have a better upper and lower body balance, strength, and endurance compared to people living a sedentary lifestyle. A study by National Center for Complementary and Integrative Health showed that Tai Chi improves muscle strength, flexibility, and endurance. At the beginning of the research, a number of tests were done to determine the participants' muscle strength, body balance, flexibility, and endurance. On the 6th week, there was already a significant difference in the flexibility, balance, and endurance of the individuals. After 12 weeks, all participants showed a great improvement. They had better stability, reduced rigidness, increased stamina and stronger muscles. As we grow older, our ability to do some physical activities diminishes. This happens at an even faster rate for people who are mostly sitting down and have less physical activity. There are different aerobic exercises that are very effective in increasing the aerobic capacity. One of these exercises is Tai Chi. Adults who practice Tai Chi and are aged 50 and above normally have a higher aerobic capacity compared to people in the same age group who have a sedentary lifestyle. According to a Meta-Analysis done on January 2000, Tai Chi is a great alternative to aerobic exercises for people aged 55 and above. Most individuals who suffer from asthma are unable to engage in certain types of exercises especially the ones that involve a lot of heavy breathing. This can be very frustrating if you enjoy engaging in physical activity. Tai Chi not only gives asthma sufferers a great workout alternative but also helps with their breathing because it teaches proper breathing techniques. Most fitness enthusiasts end up developing joint problems later in life. This is because most of the popular exercises exert a lot of pressure on the back, knee and shoulder joints due to repetitive movements. Tai Chi is different. This exercise focuses on achieving a perfect posture and making easy movements that do not overwork your joints. As a result, you end up having healthy joints for the rest of your life. 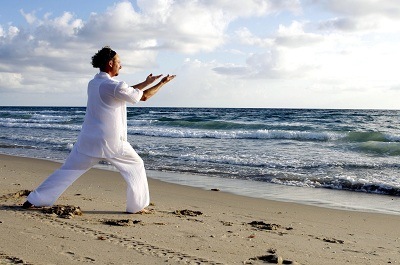 Tai Chi is also very beneficial if you are already experiencing joint problems. This is because it provides relief for aching and swollen joints. Fibromyalgia is a popular musculoskeletal disorder that is associated with very painful symptoms and impaired health. A lot of research has been done but still, there isn't any information on the cause of this disorder or its cure. A study was done by Chenchen Wang, M.D, et al, where participants suffering from Fibromyalgia were randomly chosen and instructed to practice Tai Chi exercise for a period of 12 weeks. The results showed that the symptoms of the participants had improved after the 6 week period. Tai Chi movements are effective for Fibromyalgia because they relieve pain and promote relaxation. Therefore, people who practice Tai Chi have improved Fibromyalgia symptoms and they are able to enjoy a higher quality of life that those who do not. Therefore, if you suffer from this disorder, it might be a good idea to try out Tai Chi to relieve your symptoms. Tai Chi is also very effective in improving body function in people suffering from chronic conditions like cancer, chronic obstructive pulmonary disease, and osteoarthritis. This is because it improves their flexibility, muscle strength, and endurance. The movements and controlled breathing also relieve pain in some conditions thereby improving the severity of symptoms. According to researchers' analysis of 33 studies published in British Journal of Sports Magazine, Tai Chi is very effective in providing relief for muscle pain and stiffness characteristic of osteoarthritis. Poor posture, difficult working conditions, and stress can cause a lot of damaging constrictions to the internal organs. Tai Chi helps prevent this by releasing the organs of these constrictions. This is achieved through the spiraling and bending positions in Tai Chi. Apart from this, Tai Chi improves the health of your lungs by encouraging gaseous exchange through the controlled breathing exercises. Last but not least, Tai Chi is also very effective in boosting the health of your digestive system. According to a research study published in the Australian Family Physician, Tai Chi is effective in improving an individual's blood glucose levels and their overall immune response level if they suffer from Type 2 diabetes. This is great news for people who are having a hard time with Diabetes symptoms. Tai Chi has also been found to be very effective for lowering blood pressure as well as in preventing hypertension. This is mainly because it lowers stress and keeps the internal organs healthy. Therefore, people who practice Tai Chi are at a lower risk of getting high blood pressure compared to those who do not. The Taoist.org and Americantaichi.net can help you find Tai Chi classes being held worldwide. A lot of people practice Tai Chi for the fun of it. However, there is more to Tai Chi than the enjoyment. As you've learned, there are so many health benefits you get from practicing Tai Chi. The great thing about it is the fact that it can be done by anyone regardless of age and it is very easy to practice. Tai Chi is not a fad exercise that will pass after a few years. It has been practiced for thousands of years and many people have reaped the benefits. Do not be left out. Practice Tai Chi for long life. You will not regret it. This information is not meant to replace the advice from a medical professional. You should consult your health care provider regarding specific medical concerns or treatment. PathToMobility.com is a participant in the Amazon Services LLC Associates Program, an affiliate advertising program designed to provide a means for sites to earn advertising fees by advertising and linking to Amazon.com. Amazon and the Amazon logo are trademarks of Amazon.com, Inc, or its affiliates. Additionally, PathToMobility.com participates in various other affiliate programs, and we sometimes get a commission through purchases made through our links.